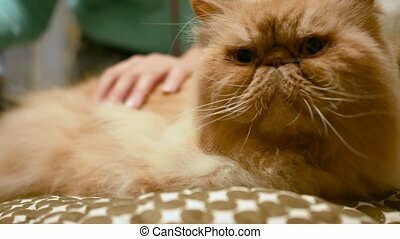 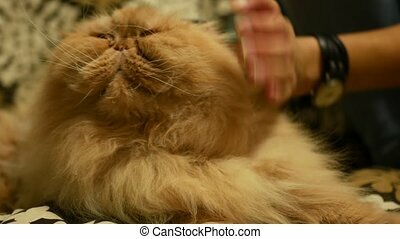 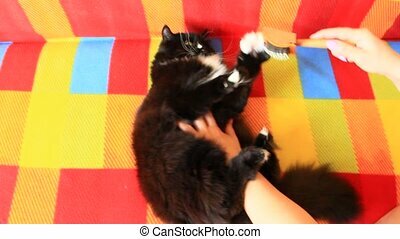 Brush red cat comb and it gets fun. 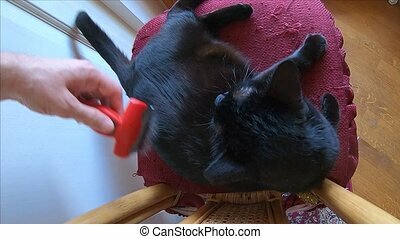 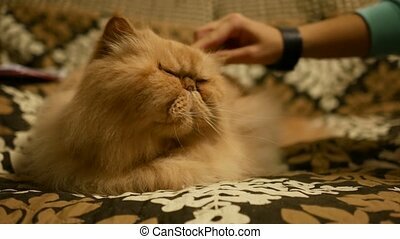 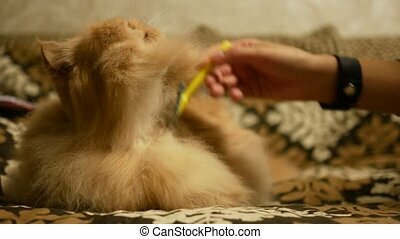 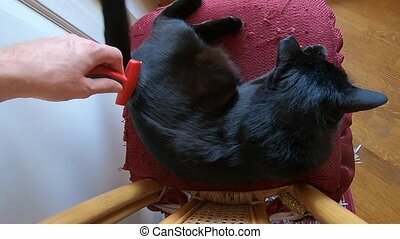 SLOW MOTION: brushing fur of a furry happy black cat on its chair. 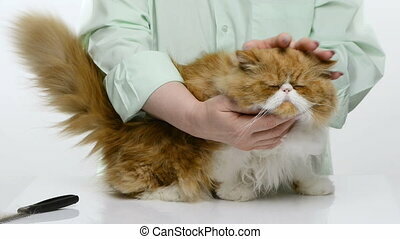 The concept of animal care. 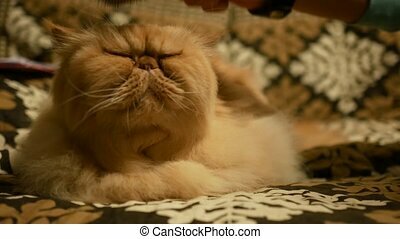 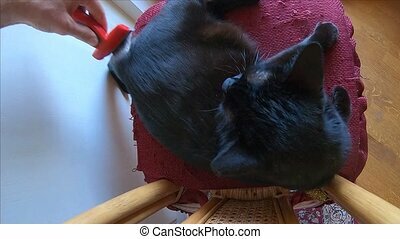 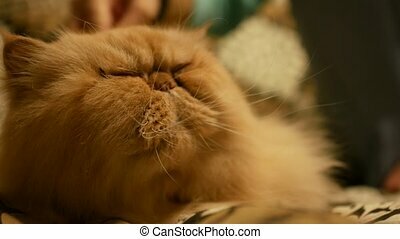 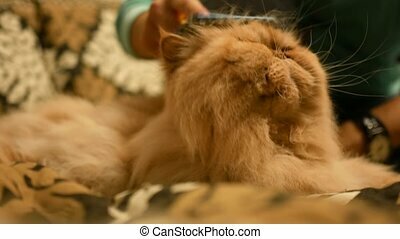 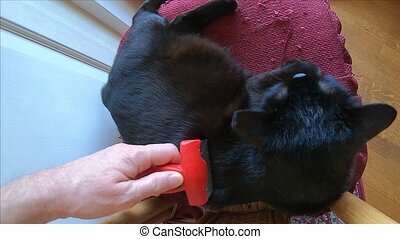 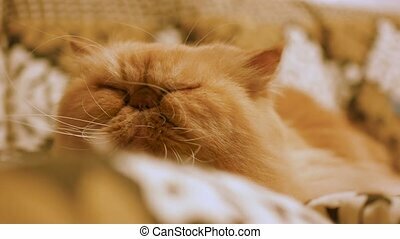 SLOW MOTION: brushing the hair of a common, European black cat sleeping relaxed on its pillow. 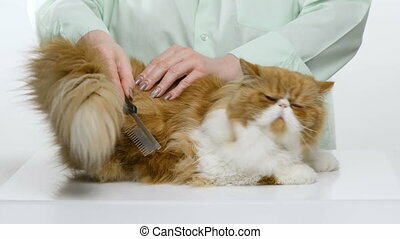 The concept of animal caring and cleaning.